Kreta was taken by the German paratroopers in May 1941. During the Africa campaign a second island was of great importance for the transports in the Mediterranean Sea. So in February 1942 a German plan "Herkules" was developped to invade Malta. For the fire support two guns K 12 had to be placed on Sicily, near Pachino. 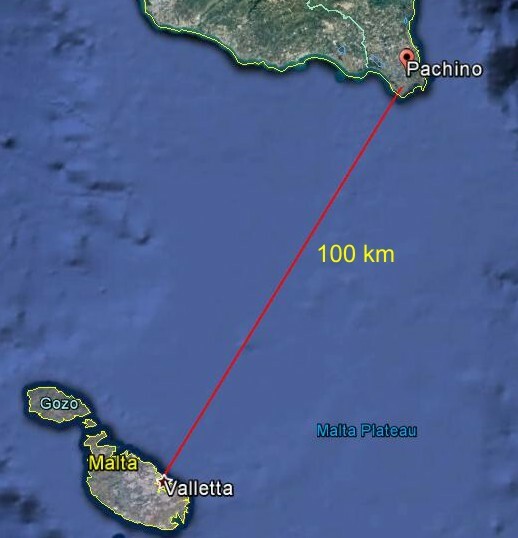 This map shows that Malta would have been in range. Rommel stated in those days that he could reach the river Nile in spite of an English Malta. And there were problems to get the trains to Pachino. Two railway bridges had to be reinforced first. This would take 20 days. The K 12 gun needed maintenance after 160 rounds. This total was assigned for the operation "Herkules". After that it would take weeks to get the guns operational again at the Channel coast. The plan was never executed, also due to the fact that Italian support was needed but Hitler had no faith in them.